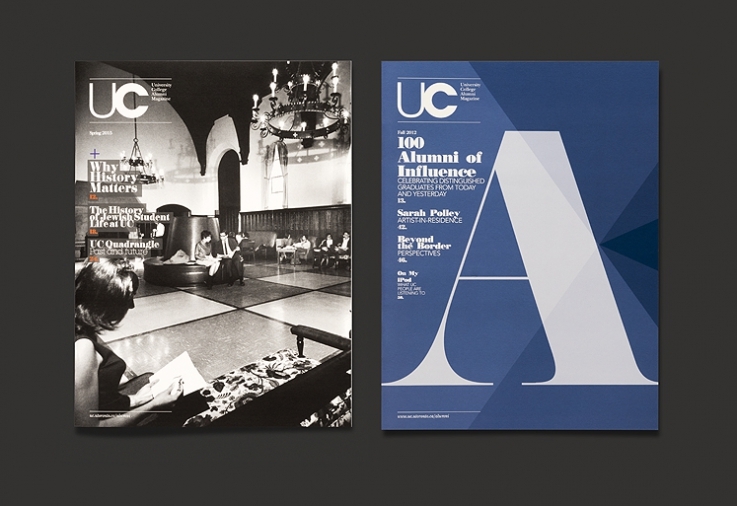 Established in 1853, University College was the founding member of University of Toronto’s modern collegiate system, and it is one of two places in the University of Toronto that has been designated a National Historic Site of Canada. 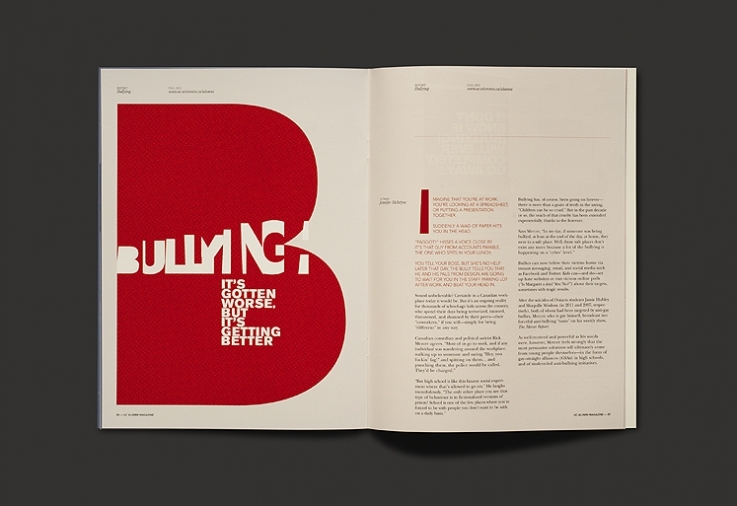 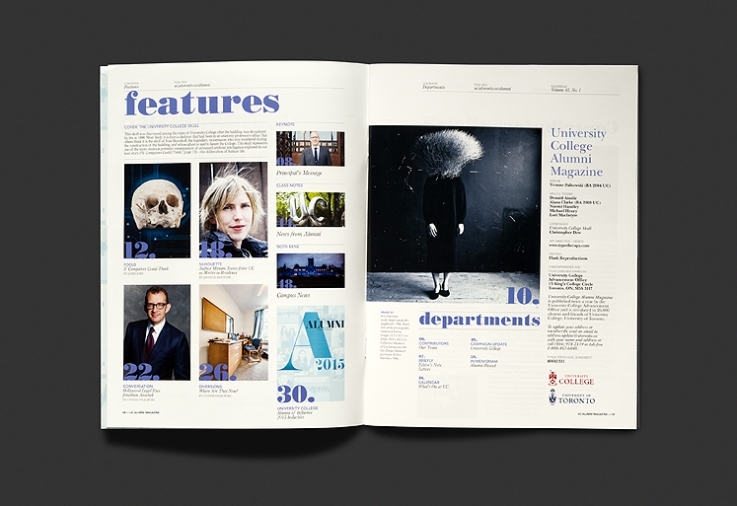 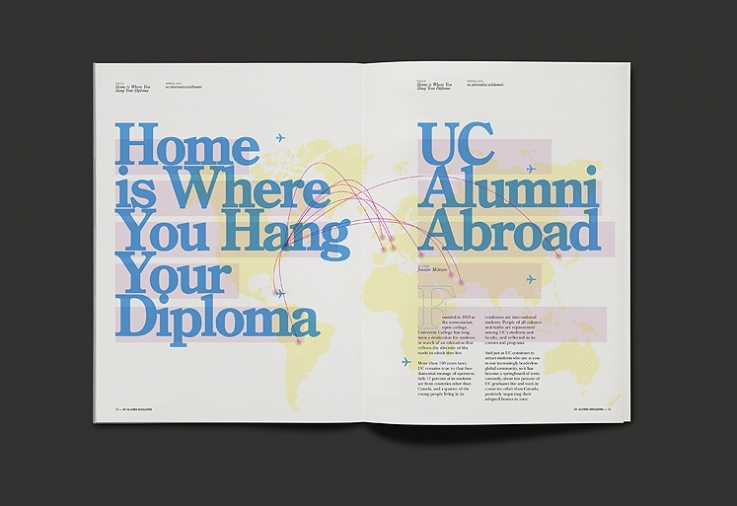 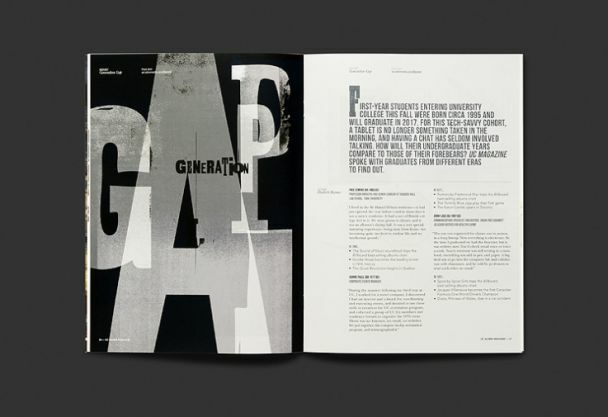 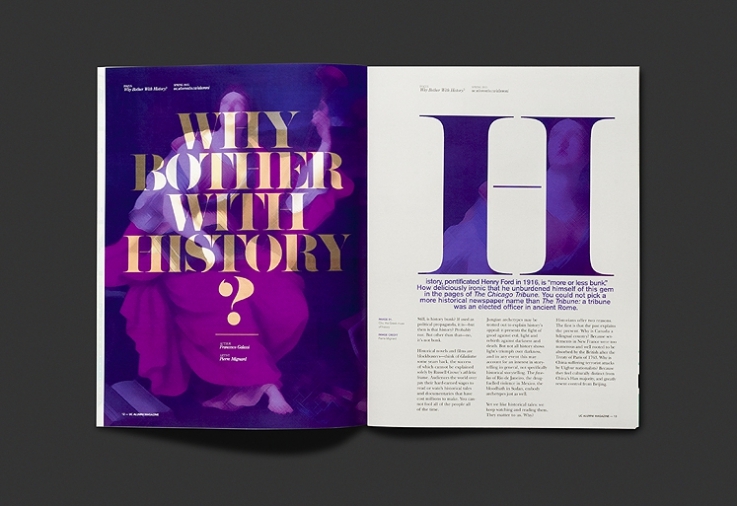 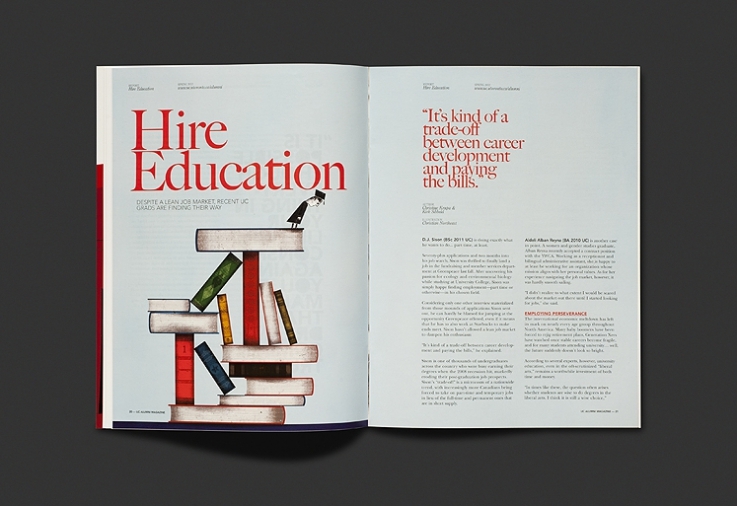 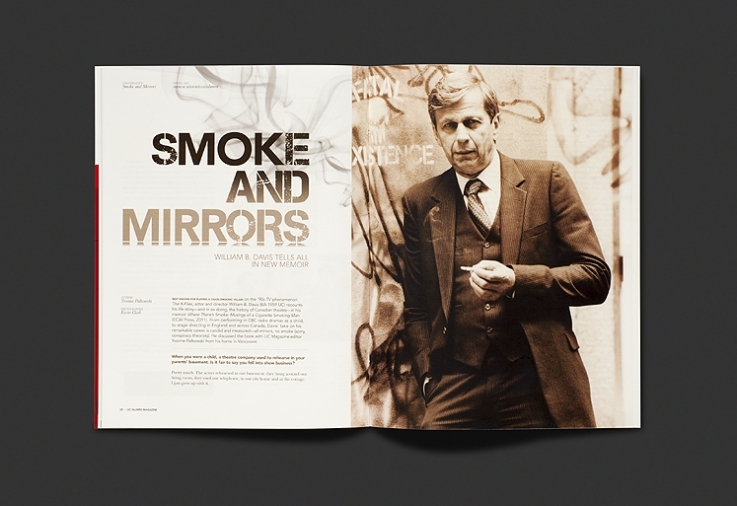 typotherapy developed the University College Alumni Magazine (UC Magazine) from its conception, together with its visual identity, and a complete redesign of the magazine; including on going art direction for each issue. 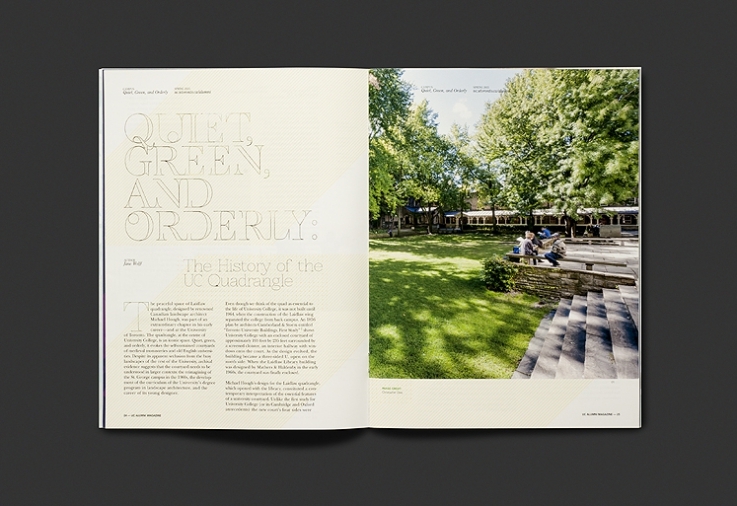 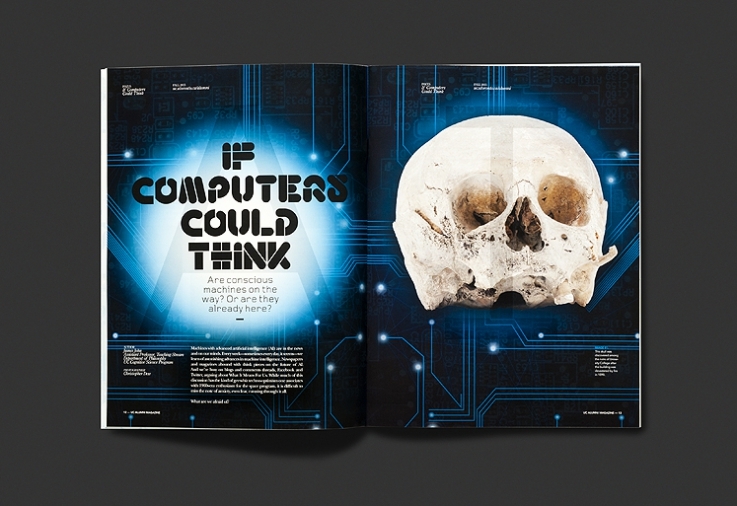 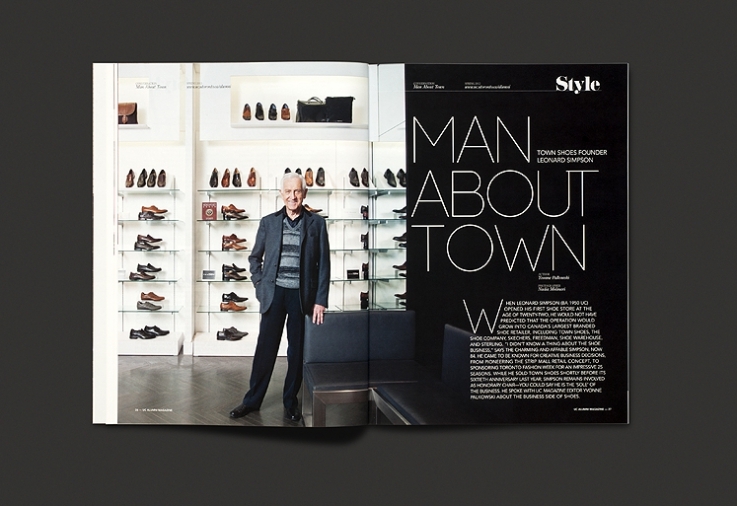 The redesign adopts an expressive and bold look allowing distinct articles and features to emerge. 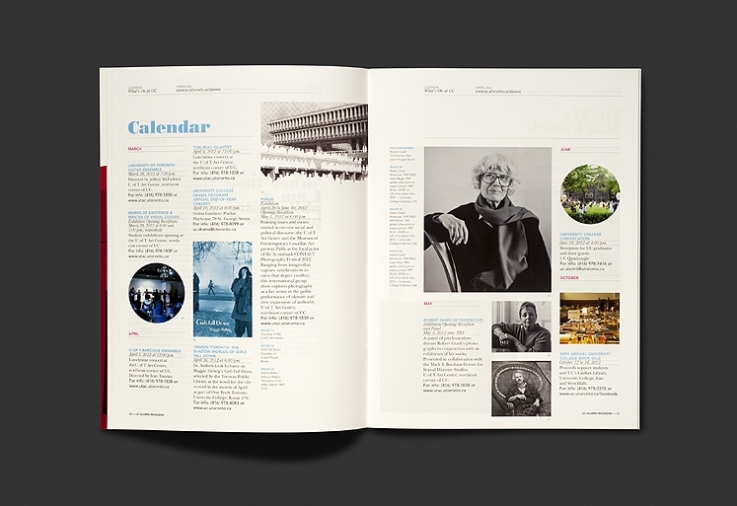 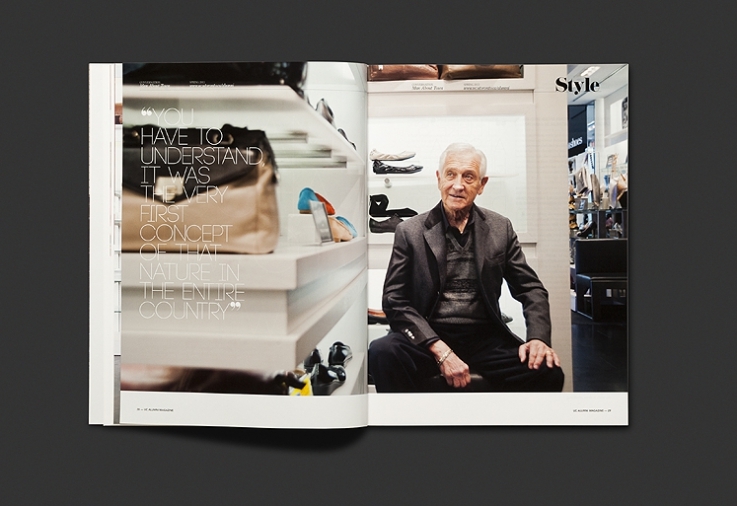 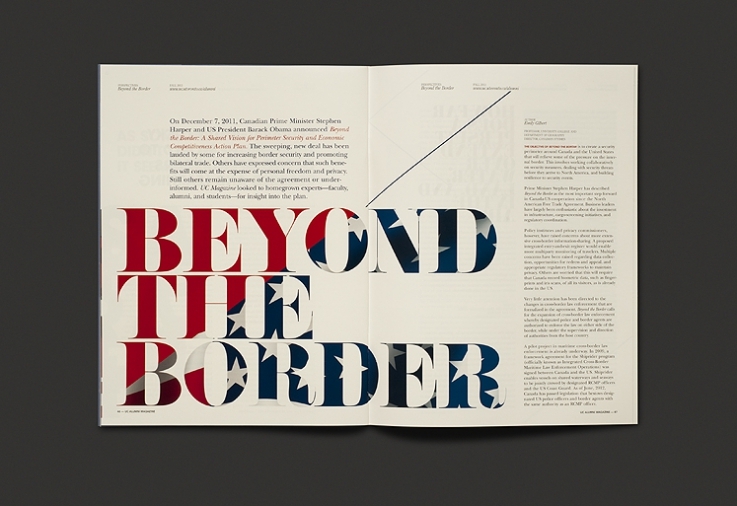 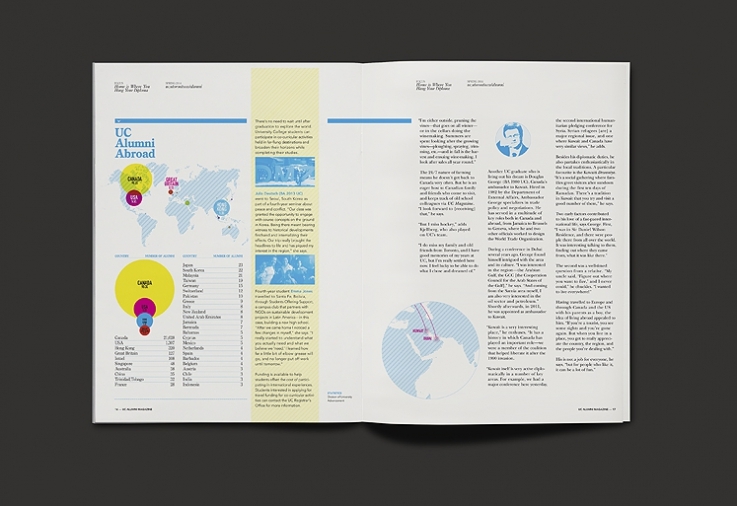 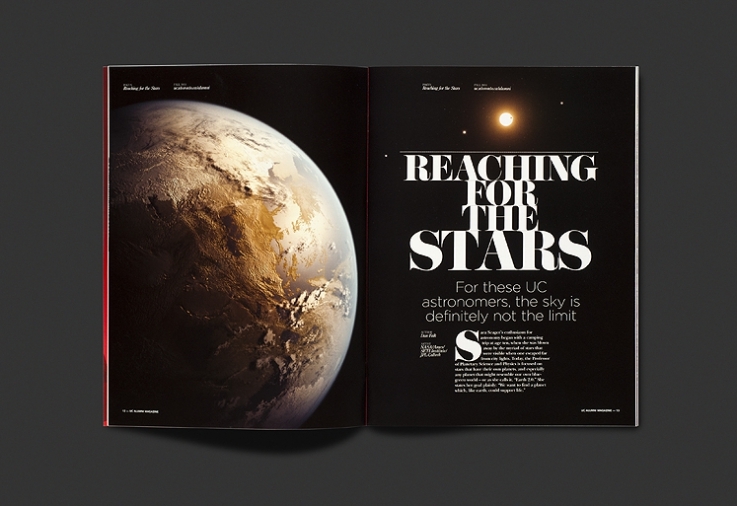 The new direction includes an editorial grid system, a dynamic typographic style and embraces each thematic issue with unique editorial designs. 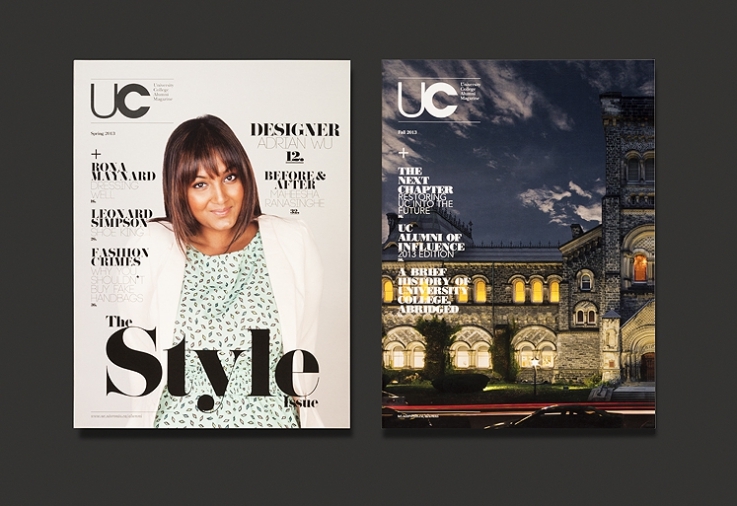 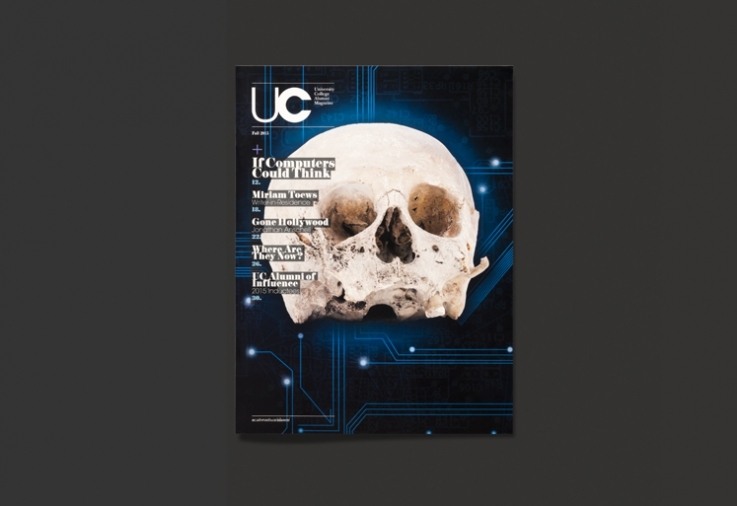 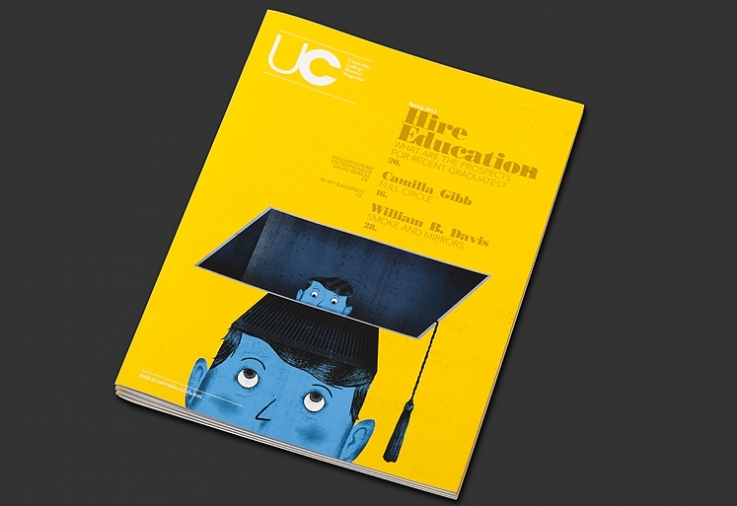 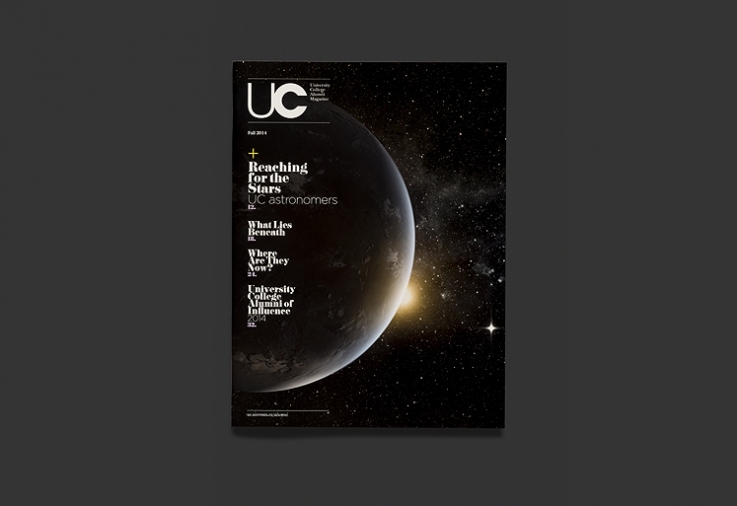 The result is that UC Magazine continues get to rave reviews from readers.